Easter’s coming up fast, and you’re probably still completing assignments for the end of term. Exams might still seem a long way off now but they’ll be here before you know it. It’s a good time to start thinking about your revision – and the Library and Study Advice are here to help. It’s important to have a plan, to make sure you have time to cover all the topics you need to. Avoid making your revision plan too detailed and prescriptive though – you will need to build in time for relaxation, exercise – and the unexpected! The Study Advice guide on preparing for exams includes tips for planning your revision, including how to work out your revision schedule. You might also find our video tutorials on time management helpful – we have tips on planning and avoiding procrastination, for instance. You will probably start by reading through your lecture notes, and then looking at texts on your reading list. The Library has guidance on finding different types of publication as well as videos that will help you to get the most out of the Library. You should also check the subject resources and guidance for information resources in your topic – much more reliable than ‘just Googling it’. And remember that, whether you’re revising on or off campus, our ebooks and ejournals are accessible 24/7. It’s good to think about the place that you study best. 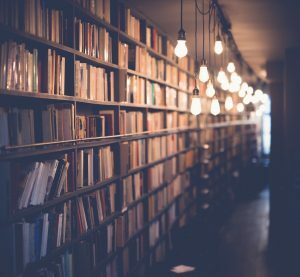 Some students prefer to study at home or in Halls, and 24/7 access to e-resources makes this a viable option without taking mountains of books home. If you do this, make sure you make a schedule and stick to it – it’s easy to watch just one more episode of that box set! Many students prefer to study in the Library, and study spaces will be available in the URS Building and the Library as usual. However it’s worth considering some of the other places to study on campus; being somewhere different may help you to avoid distractions. Or consider other places off-campus like public libraries. 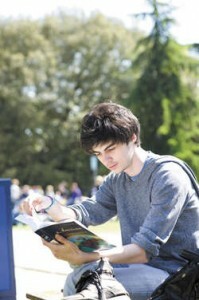 Going to a new place that you’ve identified as a ‘place to do revision’ can help you to focus. Wherever you revise, remember to take breaks. Library@URS may be open 24 hours but that doesn’t mean you have to work through the night – your brain needs rest and time for processing information. If you can find six minutes in your busy schedule, you have enough time to watch the Study Advice video tutorial on effective revision – and save yourself a lot of wasted time. 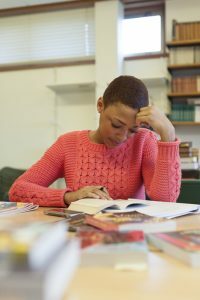 Our guide on preparing for exams also has tips on revision and memory techniques. If you’re taking exams in the UK for the first time, have a look at our information on assessment by examination in UK higher education to give you a clearer idea of how they may differ from what you have done in the past. Remember that the purpose of revision is not to memorise everything you can find about the subject, but to prepare yourself to answer exam questions. Check the Past Paper archive on the Exams Office website to find examples of questions for your modules which you can use to write practice answers – to time and by hand, ideally. We have a Study Seminar on Writing for University Exams on Wed 20 March 2019, 2-3pm in Edith Morley G25 – no need to book. And have a look at our video tutorials on exams for guidance on the best way to prepare for different kinds of exams. This is one of a series of tips to help you save time and effort finding or using information. This tip was written by Kim Shahabudin, Michelle Reid, Sonia Hood and Linda Shroeder (Study Advice team). No matter how many essays you’ve written, working on a dissertation or research project can be overwhelming. They can involve lots of new skills from deciding on research questions through to those tricky final citations. Whatever stage you are at, there is lots of help available from the Library and Study Advice team! 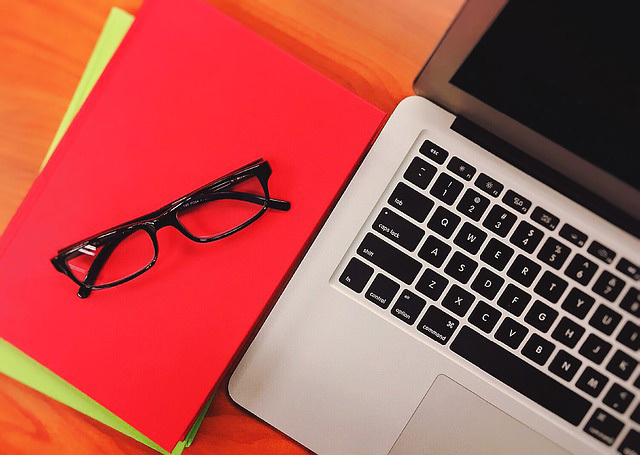 It can be a little daunting starting such a big project so you might want to start with the Study Advice guide on dissertations and major projects or their video on defining your research question. Once you have sorted your research questions you will need to start researching your topic. Look at the Library subject guide for your department to find key databases in your area. There is also a guide to doing a literature search, the LibLearn tutorials on Blackboard, or you could watch our videos on literature searching if you would like a break from reading! If you are struggling to find the information that you need then you can contact the Liaison Librarian for your subject. Once you have started your research the Study Advice team have some resources to help you keep going. If you are trying to tackle the literature you have found, it might be a good idea to watch their videos on reading academic texts and critical notetaking. With large projects like dissertations it is easy to feel like you have lots of time left only to find the deadline creeping up on you. When you are trying to balance your dissertation with lectures, other coursework and revision it is easy to fall behind so take a look at the Study Advice video on managing your time to get some tips. Dissertations and research projects can also be harder to structure than a normal essay due to their size. This Study Advice video on structuring your dissertation has some helpful suggestions to get you started. When you have a structure in place you will be ready to start writing up. If this seems a little overwhelming take a look at the Study Advice guidance on writing up your dissertation. As it is a longer piece of writing than you are likely to have written before it is a good idea not to leave your referencing until the last minute – you don’t want to lose precious marks because you ran out of time to format your bibliography! Luckily there is software freely available to help speed this process up. We offer support for EndNote online and Mendeley, which both help to gather your references and automatically create bibliographies. You can check our guidance page to get started or sign up for a workshop. If you choose to add your citations manually, and are not sure how to reference a particular resource or would like a refresher, there is lots of guidance on the Citing References guide. 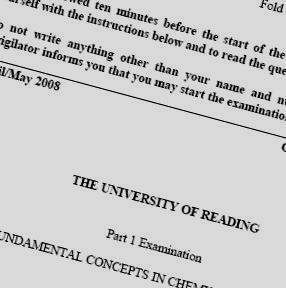 But don’t forget to check your student handbook for details of the referencing style required by your department. When you’re finished, you’ll need to get your dissertation printed and bound – the University’s recommended provider is Hollingworth & Moss. If you would like more information you can contact your Liaison Librarian or the Study Advice team. This tip was written by Dr Kim Shahabudin, Study Adviser. If your resolution this term is to be more efficient when studying, a good area to focus on is your reading and note-making. 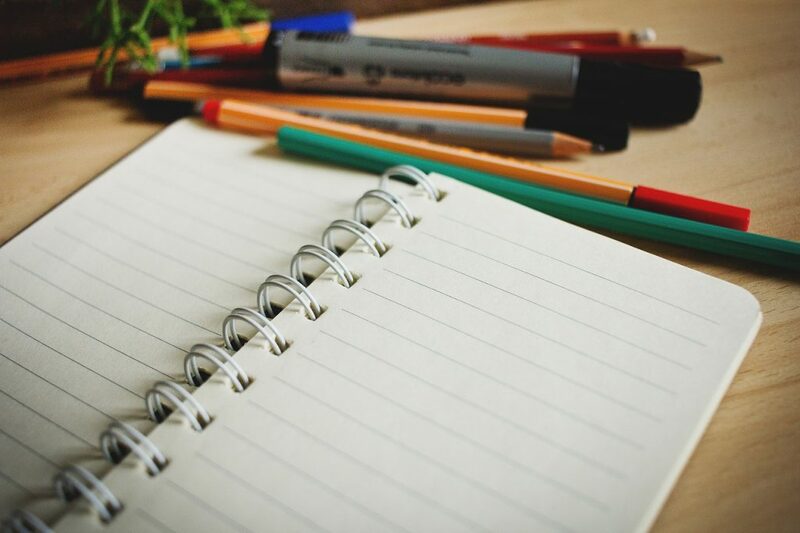 Independent reading and taking notes are likely to make up a large part of your study time at university, so a few small adaptations to your reading strategies could potentially save you a lot of time over the term. 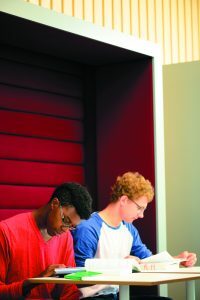 The Study Advice team has a guide on managing academic reading which includes ideas on how to select material, deciding how much to read, and reading techniques. We also have a brief video tutorial on reading academic texts that introduces the kind of reading needed for academic work and appropriate strategies. Are you reading to develop your basic subject knowledge in preparation for lectures or seminars? Are you reading for a specific assignment like an essay or report? Are you researching a topic for a literature review or longer project or dissertation? Are you reading around your subject to enhance your overall understanding? Ask yourself what you already know about the topic, from previous lectures, seminars or wider knowledge. 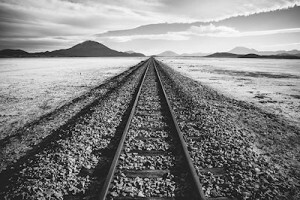 Use this to identify your gaps and what you need to find out – it can be useful to phrase this as a series of questions so you can then search for answers to those questions. Your reading list is often a helpful place to start – the Library has a guide to understanding your reading list. But to get the best marks you will most likely need to go beyond your reading list – see the Library guide on doing your literature search for information on where to look, effective search tips, finding the items you need. For targeted resources and more advice on finding information in your subject, take a look at your subject resources pages or contact your subject liaison librarian. 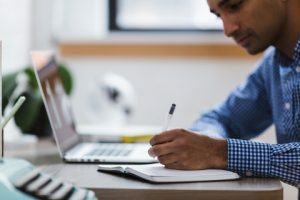 Efficient reading goes hand-in-hand with good note-making, so if you feel you are being slowed down by taking too many, or too few notes, have a look at our guide to effective note-taking and our video tutorial on critical note-taking. The secret is not trying to capture everything you’ve read (or you’ll just end up with more notes than there are pages in the book itself!) but to keep good records so you know where to find the information again when you need it. Watch this short video tutorial on finding bibliographical details you need for note-making and referencing. If you find it hard to keep track of your references, consider using reference management software, such as EndNote. Reading is a potentially open-ended task – there is always one more book or journal article in the Library that you could read. If you feel your reading is taking too long, have a look at the Study Advice guides on managing your time and our video tutorial on how to make more hours in the day. If you find it difficult to focus on your reading, list the things that distract you and take steps to deal with these distractions. For example, disable pop-up notifications on your phone if you know social media can easily draw your attention away from your reading. Another helpful strategy is to think about the time of day when you are most focused and productive, and use your best thinking time to tackle the most difficult texts. Putting limits around your reading time and stopping it from becoming an endless task can also improve your efficiency and your motivation! Make an estimate of how much time you need to do your reading, break your reading down into manageable chunks, and schedule it into a weekly study timetable. For more advice on how to make one, watch our video tutorial on making a study timetable. If you need more advice on how to manage your reading and improve your note-taking techniques, contact the Study Advice team to book an appointment. This tip was written by Dr Michelle Reid, Study Adviser. Do you struggle with referencing? Have you been marked down for incomplete or inconsistent references? There are some online tools that can help! Why use online referencing tools? You can use them to store accurate details of publications to use in your assignments. They can save you time compiling, checking and correcting references – just insert the citation and a bibliography is created automatically. You can also reformat your citations in a different style at the click of a button. You can add notes to your references, to remind yourself of specific parts you might want to use. Some allow you to store PDFs of the sources with your references, so that everything is together and in most cases available on any computer. If you use an online tool you still need to know when to include a citation, and understand the principles of referencing. You can find help on this in Study Advice’s referencing guide or referencing video tutorials. You also need to be aware of which style your department requires you to use – consult your course handbook for details. … we recommend using EndNote online. This is free to use and you can use it both on campus PCs and your own PC or laptop. You can get accurate reference details into it from Library catalogues such as Enterprise and Summon, databases such as Web of Science, or you can manually create your own references for web pages. If you’re not sure whether your preferred database supports EndNote, check our database A-Z list for details of the individual resource. EndNote online also works with Microsoft Word – you can install a free toolbar which helps you automatically create both in-text citations and your full bibliography. You can choose from a list of common referencing styles (including the University’s own ‘Harvard for Reading’ style) to format your bibliography. EndNote online is fully supported by the Library and we can provide 1-1 help. To get started, come along to a workshop, try our step-by-step guide to using EndNote online, or watch an introductory video. … we recommend using Desktop EndNote. This is available on any campus PC through Apps Anywhere. A personal copy can be purchased at the discounted price of around £98. References can be easily captured from many databases, and you can use the ‘Find full-text’ feature to automatically attach article PDFs to those references. A very large number of referencing styles are provided, including those for specific journals. You can download other ones from the EndNote website, or create your own by editing existing styles. It is also possible to share your EndNote library by synchronising with an EndNote online account – useful for collaboration. Find out more by coming along to a workshop, trying our step-by-step guides, or watching a brief introductory video. There are a number of other referencing tools available, including Mendeley, Zotero and Word’s own referencing facility. Although we do not provide support for these, we have provided links to online guidance and videos via our managing references guide. If you need help with using EndNote, or with any aspect of citing references, contact your subject liaison librarian who will be happy to help. This tip was written by Jackie Skinner, Library Web Manager & Liaison Librarian, and Caitlin McCulloch, Trainee Liaison Librarian.